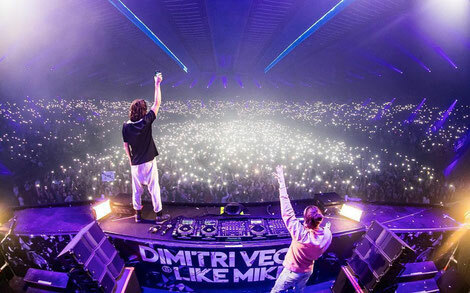 Dimitri Vegas & Like Mike have released a film of their four apparently sold out ‘Bringing The Madness: Reflections’ arena dates at the Sportpaleis Arena. Filmed in HD quality, you can now catch the full live set of the end of year event. After the success of 2016’s Sportpaleis shows, the duo returned to bring the madness in 2017, after enjoying a year with tracks such as the collaboration with David Guetta & Kiiara on ‘Complicated’, amassing over 70 million streams on Spotify and 54 million YouTube views. The Belgian brothers returned to the Sportpaleis Arena for their ‘Bringing The Madness’ homecoming show, apparently making it bigger and better than ever before, with the full Tomorrowland production on show for 80,000 people spread across four shows, which included guests such as Afrojack, Steve Angello and Hardwell joining them on stage for the very first time at the Belgian show.